"This extends ADS-B signals beyond line-of-sight to facilitate reporting the position of aircraft equipped with ADS-B anywhere in the world, including oceanic, polar and other remote areas," the U.N. International Telecommunication Union (ITU) said in a statement. "The allocation of frequencies for reception of ADS-B signals from aircraft by space stations will enable real-time tracking of aircraft anywhere in the world," said François Rancy, head of the ITU's Radiocommunication Bureau. 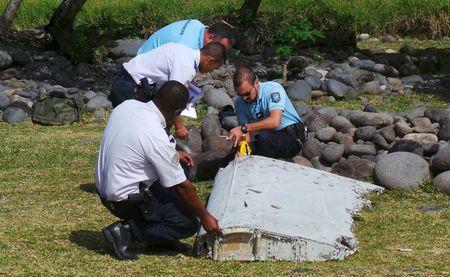 After the still-unsolved disappearance of Malaysia Airlines Flight MH370, regulators and airlines were criticized for responding too slowly to French tracking recommendations after the crash of an Air France jet in 2009. The U.N.'s aviation arm, the International Civil Aviation Organization (ICAO), has set a November 2016 deadline for adopting new tracking guidelines. Those will include aircraft sending their position at least every 15 minutes, or more in case of emergency. “The WRC’s action today will enable better tracking and location of aircraft that otherwise could disappear from terrestrial tracking systems,” U.S. Ambassador Decker Anstrom said in a statement.